Those that love nature and perfectly manicured and well thought out landscapes will enjoy this list of the top 10 gardens in the world. These are spread out all over different continents so regardless of where you are, there are beautiful gardens to be found. 10. We will begin the journey in Asia which is known for its beauty and elegance. The Nong Nooch Tropical Botanical Garden in Sattahip, Thailand is no exception. While it is extremely busy over the summer months with tourists, this 500-acre garden is worth a visit. Not only are there superb animal statues and terracotta, but your entry ticket also includes a culture show and elephant show. There is even a tiger on display that the children will love. 9. 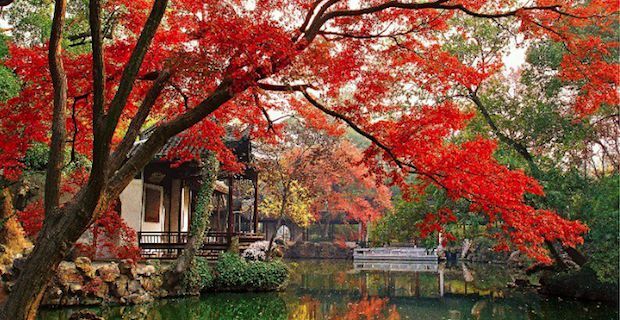 Jichang Yuan Gardens in the Jiangsu province in China is much smaller garden only covering a meagre acre, but it is packed with beauty. Lying peacefully in the gardens is an elegant pavilion near the Bridge of Seven Stars. This place is also known as the Garden of Ecstasy and for good reasons. 8. Now heading to Africa we discover the Kirstenbosch Botanical Gardens in Cape Town, South Africa. 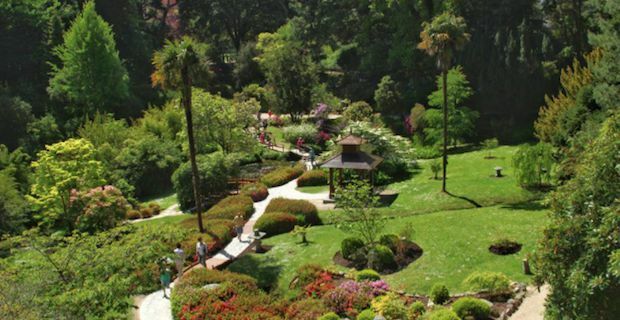 The gardens which were founded in 1913 with the idea that this would be a place to preserve flora. It holds over 22,000 indigenous plants with Devil’s Peak and Table Mountain in the background. 7. 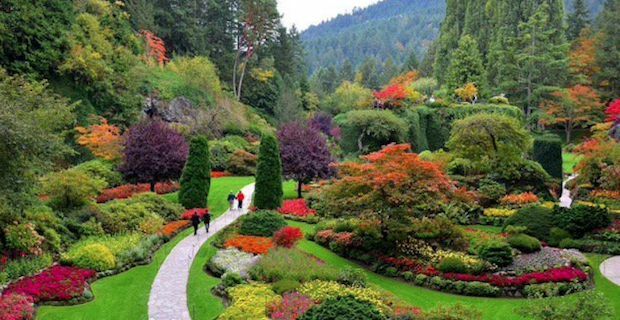 North America also has a few notable gardens that are worth mentioning such as Butchart Gardens in Canada which was created by Robert Pim Butchart and his wife Jennie. They transformed a limestone quarry into a the Sunken Gardens. This along with a Japanese garden, Italian garden and Rose garden all make up up this national historic site in Canada. 6. The Desert Botanical Gardens in Phoenix, Arizona is another unique place to visit. It was founded by the Arizona Cactus and Native Flora Society in 1937 and holds over 21,000 plants and over 4,000 taxa. Visitors can roam the 140 acres in Papago Park and choose any one of the 5 thematic trails; conservation, desert living, desert wildflowers and plants and people of the Sonoran Desert. 5. And of course there are plenty of beautiful gardens in Europe. 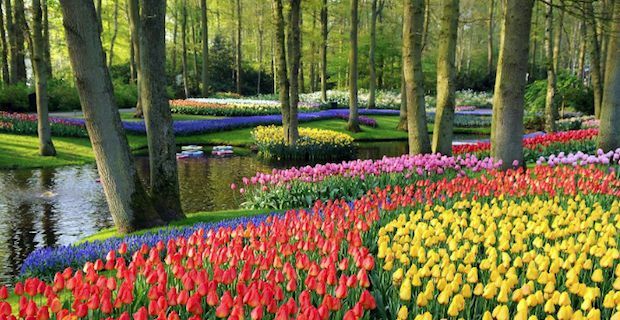 Keukenhof Gardens in the Netherlands is one of the many beautiful places to head to in the Spring. During these months the gardens are covered in millions of tulips, daffodils and hyacinths. There are over 800 varieties of tulips alone! This sea of colour is not to be missed. 4. Villa d’Este in Tivoli is located in the beautiful Italian countryside. This is a designated UNESCO World Heritage Site that is takes visitors back in time. The fountains and water features alone are breathtaking. While it does take awhile to reach this destination, the vast greenery and water will make it well worth your journey. 3. In the Republic of Ireland lies the beautiful Powerscourt Gardens in Enniskerry, County Wicklow. 47 acres are covered with waterfalls, garden pavilions and plenty of greenery all overlooking Sugarloaf Mountain. This is all part of the Powerscourt Estate which also includes a golf course and hotel. 2. The Kew Gardens in Surrey, England are near the top of the list as one of the best gardens to visit. THere are 326 acres that are filled with over 50,000 different plant species. The Temperate House located on the grounds is the world’s largest victorian greenhouse. There is also a Water Lily pond, Japanese Gateway and Kew Palace all within the gardens. 1. 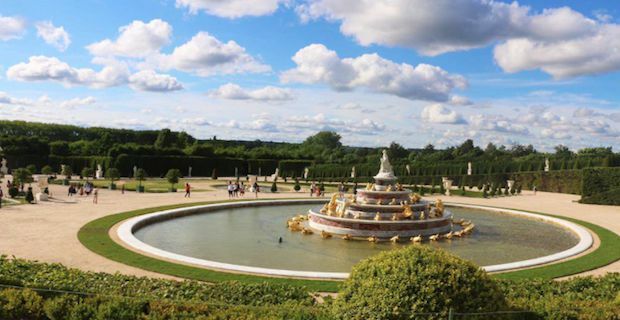 And at #1 we have none other than the Château de Versailles in France. 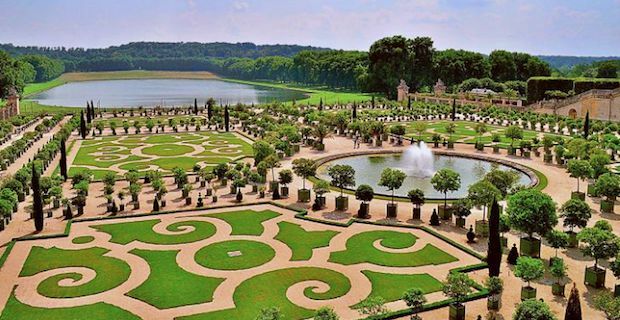 In the 17th century landscape designer André Le Notre created this masterpiece for Louis XIV. This space not only holds over 200,000 trees, 50 fountains and plenty of flower beds, but it also has a 5.5 km canal meandering through it. If you ever are in the area, this is a sight to behold.